Sophia will love this for her bedroom! 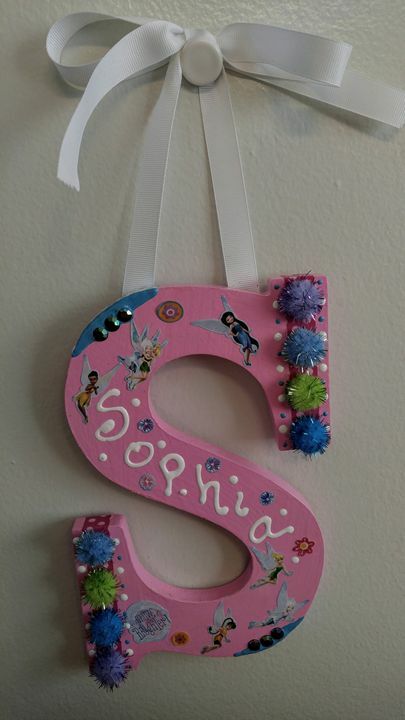 Wood Wall Hanging "S" with Name Sophia. Front, Back, Sides are Painted in Acrylic Paint. Fairy Decals and Ribbon Attached for Hanging. - PayPal is EXCLUSIVELY used for payment of CANVAS and DIGITAL PRINT orders. - I accept CASH, CASHIER'S CHECK and MONEY ORDER for the "S" - SOPHIA. - Provide your complete NAME, ADDRESS, ZIP CODE, EMAIL and or PHONE for communication and error free delivery. - Upon receipt of payment, I will ship USPS to the address you provided. "ADD TO CART" IS EXCLUSIVELY FOR CANVAS AND DIGITAL PRINT PURCHASES ONLY! Please see my "Methods of Payments" accepted, listed under "DESCRIPTION" Section. "S", SOPHIA...ships directly from my art studio. QUESTIONS...just ask...I am here for you.